Projected Memory’s first official installation is located in a former prisoner barrack at the Sachsenhausen Memorial and Museum and enables visitors to express their thoughts and emotions in private and away from the often overwhelming “hard history” of the grounds. Using a touchscreen monitor to navigate through a digital interface, visitors may select between recording audio or video messages and, at a later stage, will be able to watch and listen to messages left by others. 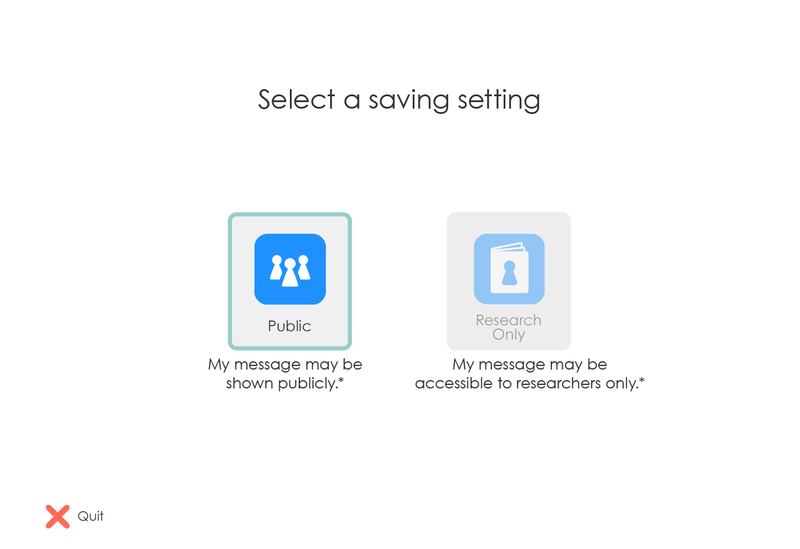 Visitors have the option to share their messages with the public, or academic researchers, or no one if a visitor prefers that his or her message remain private. 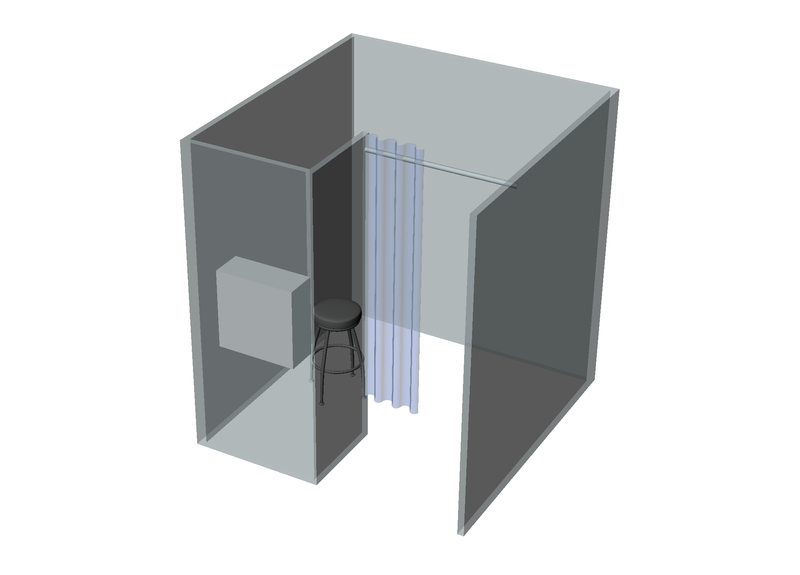 We designed a booth that provides the conditions for visitors to grapple with their own thoughts and emotions and make a different kind of memorial to human rights, empathy, and active citizenship. The semi-private space is both inviting and unobtrusive, as well as wheelchair accessible and somewhat insulated against sound. 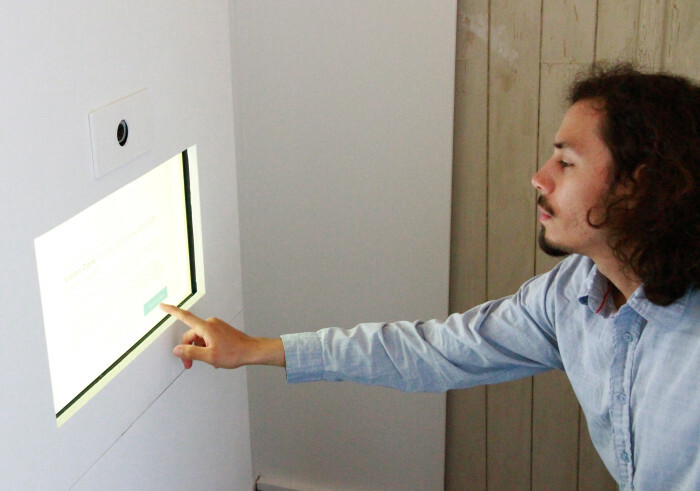 Having a digital interface that is engaging and simple to use, while respecting the solemnity of a memorial site, was paramount to the project’s success. Visitors should understand Projected Memory’s mission, but get straight to the message-recording process. How do you say “Never Again” in Xhosa? How do we use words, expressions, and gestures to convey emotions like grief, sadness, hope, and empathy? Let’s track over time the evolution of society’s interpretation of an event. 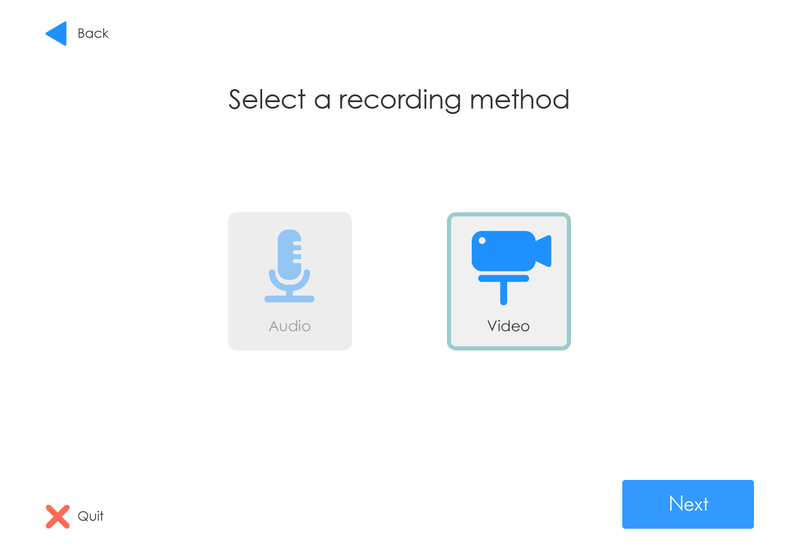 Choosing between different saving settings allows visitors to determine how accessible their message will be. Over time, these collected impressions will inform us about the ways we consider significant historical events and their emotional, intellectual, and educational impact on us. Visitors to memorials often expect to see grisly artifacts from the past – as if to confirm the means of violence that they’ve only read about and struggle to accept. Projected Memory aims to interrupt this pattern by providing a space and a challenge to think. Visitors expect to see gas chambers; they do not necessarily expect to encounter a dedicated space in which to voice their thoughts, thereby reanimating a fragment of the empathy and creativity that was previously destroyed on site. Read stories that inspired the Projected Memory installation at Sachsenhausen.